Advocate: If we don't do it, no one will. 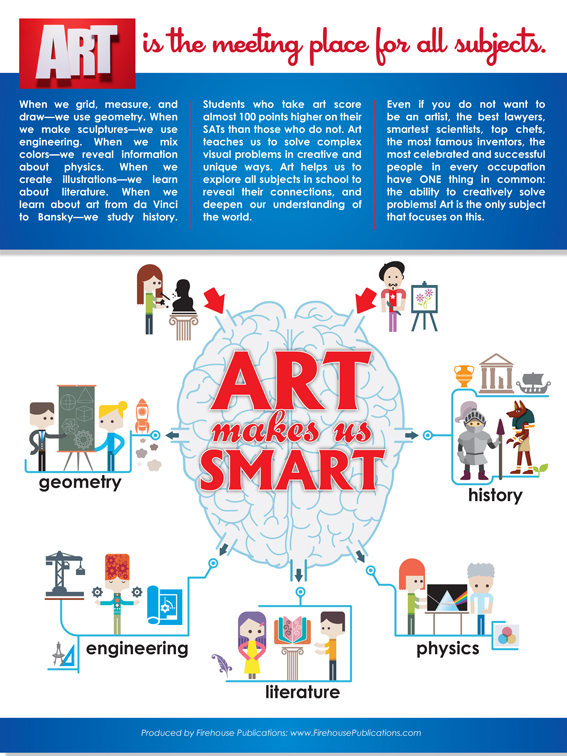 A recent 2014 STUDY shows that exploring art and making art both help the brain makes more neural connections, but making art showed greater cognitive gains. When we talk to "outsiders" about how creative, fun, and full of self expression our subject is, those same outsiders hear "frivolous." 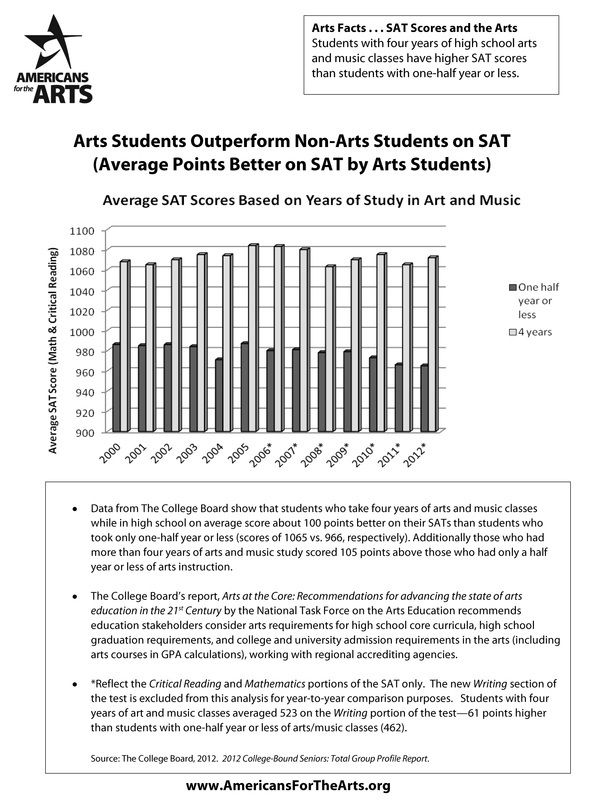 But if instead we tell them that art is about problem solving, divergent thinking processes, making connections within core subjects like math, science, literature, and that our students score significantly higher on important assessments like the SAT, they "get it." We must learn to speak the language of "outsiders," who believe what is important can be measured, tested, and rewarded. We continue to do what we have always done, teaching joy. See this blog post to help advocate for you HERE. Feel free to maximize and print the posters below. If you want one for your classroom, CLICK here. More Helpful Links Below Posters. 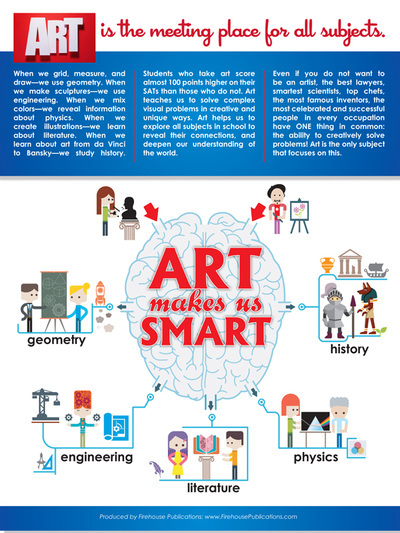 The Visual Arts- Stronger than Ever by Meagan Hahn on 9 March 2015, Original Prezi HERE. Orange and purple are where I see many art classes falling into. Purple is more like formula projects, "make and take," with little, if any personal expression. Orange is the artful program with lots of expression but fewer connections to core content. 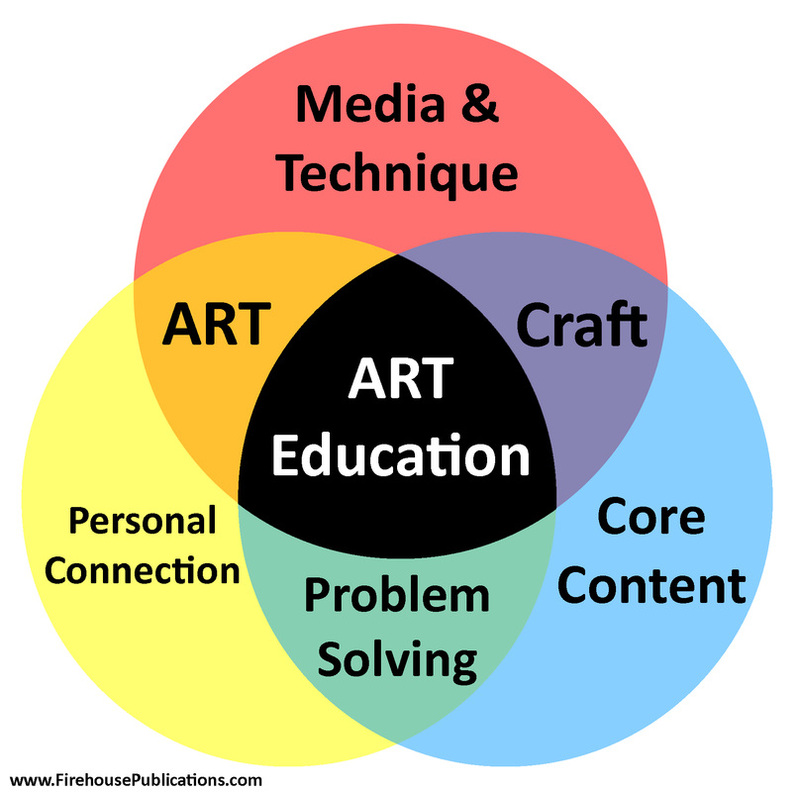 "Art for art's sake," like an open studio. It is how most professional artists work. Both have their advantages. Green is the one that gave me the most difficulty, but I see it as a good core content class where students need to understand content by personalizing it. like "What % of your body is made up of water, and what weight would that represent?" Or "If you were Alice of Wonderland, how would you respond to __________?" or "Compose a poem about your last vacation." It's internalization of class content for deeper understanding. The middle section is what I strive for, and when I do, I see some amazing things happen. 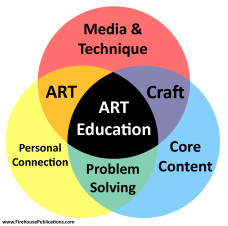 Students make connections between content areas, explore them with more depth and understanding, and create more meaningful, insightful works of art. Click sides to page through, click document to see full page version. 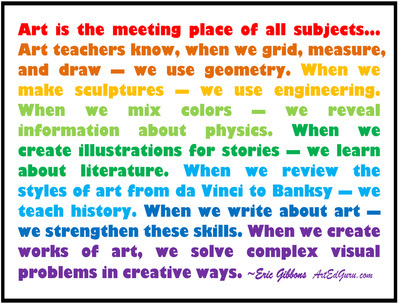 Why art education is crucial. 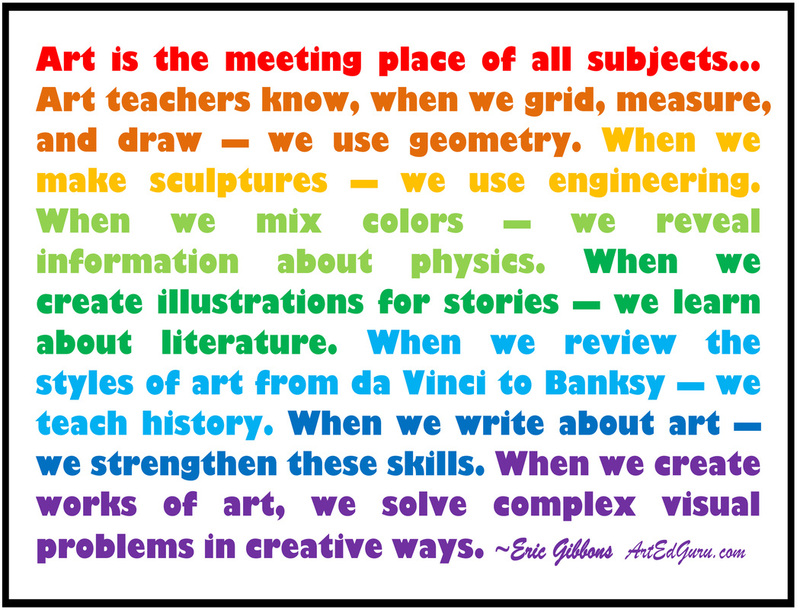 Arts Integration Videos: One, Two, and Three. Feel free to print, laminate, post, and share, but please keep the attribution.